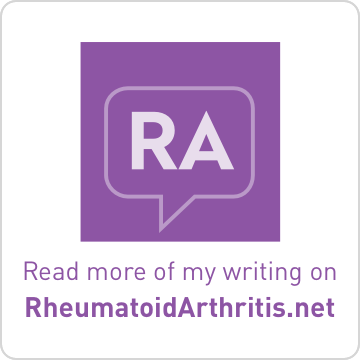 Brass and Ivory: Life with MS and RA: Is Diet the Answer to Treating MS Symptoms? Remember how March is National MS Education and Awareness Month? Well The New York Times has jumped onboard with a short series of articles written about multiple sclerosis by their very own "personal health columnist and science news reporter." Ms. Jane E. Brody writes weekly articles for NYT and is considered a leading authority on 'health & nutrition' and 'health & fitness' on the speaking circuit. 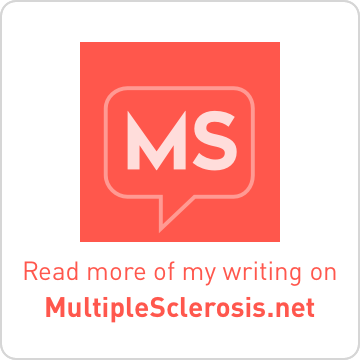 Last week I discussed Ms. Brody's first article discussing multiple sclerosis. This week, I'll discuss her latest article with bold emphasis mine. Excerpts from other websites are presented in italics. "Some With MS Put Their Hopes in a Diet"
What you are about to read is not an endorsement of any particular diet as a therapy for multiple sclerosis. Nor is it a suggestion to forgo established medical treatments. But so long as it is part of a medically approved treatment program, the diet described here is unlikely to hurt, except perhaps to make meal planning a challenge. And on the testimony of those who have followed it, the plan may be worth trying, despite the lack of scientific evidence to support it. The diet has not been subjected to a placebo-controlled, randomized clinical trial, the gold standard for determining the value of any therapy. But Ann D. Sawyer and Judith E. Bachrach, co-authors of “The MS Recovery Diet,” say this should not dissuade people struggling with the debilitating symptoms of the degenerative disease. The diet they outline extends one developed decades ago by Dr. Roy L. Swank, an emeritus professor of neurology at Oregon Health Science University. It severely restricts saturated fat and increases essential fatty acids like fish and vegetable oils, measures endorsed by the National Multiple Sclerosis Society as part of a healthy diet. Maintenance of general good health is very important for persons with MS or any chronic disorder. A well-balanced and carefully planned diet will help to achieve this goal. MS specialists recommend that people with MS adhere to the same low-fat, high fiber diet that is recommended for the general population. While many different diets have been proposed as a treatment, or even a cure, for the signs and symptoms of MS, evidence of effectiveness is very limited. There is some evidence that a diet low in saturated fats and supplemented by Omega 3 (from fatty fishes, cod-liver oil, or flaxseed oil) and Omega 6 (fatty acids from sunflower or safflower seed oil and possibly evening primrose oil) may have some benefit for people with MS.Most of the diets that have been touted as helping people with MS have not been subjected to rigorous, controlled studies, and the few that have been evaluated have produced mixed results. Most of the claims made for dietary treatments are based on personal accounts, and the reported benefits may have been spontaneous changes that would have happened without any treatment. ~10% patients were 'poor dieters' and didn't survive? ~57% patients neither survived nor didn't survive? Same source and similar quotes to last week's article. Besides saturated fat, Ms. Sawyer and Ms. Bachrach suggest that other potential dietary culprits include dairy, grains with gluten, legumes, eggs and yeast. “Beyond the five usual suspects, each person may have very individual food sensitivities to herbs, spices or food in any category,” they write. Each patient would have to determine personal sensitivities through trial and error. But if there is a product (book) for sale, then somebody is be making money, but I have to disagree with Ann and Judi's "image of Multiple Sclerosis" which "is burned into all of our minds." Sounds like fear-mongering to me. The image of Multiple Sclerosis is burned into all of our minds: a young adult in a wheelchair, facing an unrelenting loss of physical and mental functions. This does not have to happen! Welcome to the MS world of Ann Sawyer and Judi Bachrach, where healing and optimism prevail and life can be lived to the fullest, unimpeded. Nine years ago, Ann was totally exhausted and her feet so numb that she could barely hobble about. Now, whether ramping up the treadmill or dancing at a wedding, she is full of energy and vitality. Luckily, she found a treatment approach that worked. Judi’s MS had progressed to the point where she had to spend most of her days in bed. A wheelchair was out of the question because her trunk muscles could not support her sitting up. Now, after 39 years of severe compromise, Judi is emerging into a full life once again, regaining her lost abilities and energy. Before she started the diet, Ms. Bachrach, a former dancer and movement instructor, could not even use a wheelchair because her upper body had become too weak to manipulate it. She was 35 when she learned she had MS; by 49, she was mostly bedridden. Then, in 2006, she met Ms. Sawyer and decided to try the diet she suggested. “After one week on this diet, I regained feeling in my toes,” she wrote. “After about six weeks, I also gained incrementally in terms of endurance and muscular rebound. I was even able to walk back down to the waterfall on my land, to carry firewood, to empty the ash bucket, to make a spaghetti sauce and to stay up to greet my husband on his late return from a trip, all in one day, and still felt just fine. Hers is one of nearly a dozen dietary “success stories” recounted in the book. Several other patients reported that they remained well as long as they stuck to the diet, then relapsed when they got careless about food, only to improve once more when they went back on the diet. Why, you may wonder, isn’t everyone with MS on this diet? The answer lies partly in the complex nature of the disease. 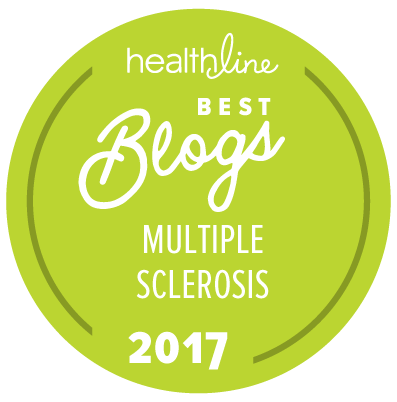 Multiple sclerosis is a highly variable autoimmune disorder in which the body’s own immune system attacks the myelin sheaths that protect axons, which transmit nerve signals in the brain. The most common form is called relapsing-remitting: patients are well for a time, then their symptoms return, only to subside again sometime later, with or without treatment. Thus, it is hard to know whether any improvement is due to diet. Patricia O’Looney, vice president for biomedical research at the Multiple Sclerosis Society, said in an interview: “There’s a strong placebo effect in MS. With any change a person makes — in diet or whatever — they’re likely to feel better because they’re taking some action. Eating less saturated fat and more fish oil is good for all of us. But we’d never suggest changing one’s diet in place of taking” a therapy approved by the Food and Drug Administration. The theory behind the “recovery diet” is that in susceptible people, partly digested proteins stimulate an allergy-like immune response, resulting in antibodies that mistake myelin for the offending protein. These antibodies can then enter the brain and attack the myelin sheath, disrupting nerve conduction and eventually causing death of the axons. The goal the authors suggest is to identify and eliminate culprit foods from the diet to quiet the immune response. "These antibodies can then enter the brain...eventually causing death of the axons." This doesn't explain re-myelination. There are several problems involved in trying to test this or any other dietary regimen scientifically. As Rosalind Kalb, an associate vice president of the MS society, explained, the cyclical nature of the disease means that studies must be long term. “Over an extended period people have to follow an exact diet,” she said in an interview, and the findings among them must be compared with people on ordinary diets. Documenting adherence to a strict regimen like the recovery diet is challenging in itself. And since there may be individual sensitivities, there are too many variables, and it is hard to know what to exclude from the test diet. It is one thing to examine a single nutrient like omega-3 fatty acids or vitamin D, but much more difficult to test a diet in which many different nutrients are involved. If any book should be recommended to someone with multiple sclerosis, it should be Rosalind Kalb's book. I have personally found it very useful and informative. "The thoroughly revised and updated fourth edition of the classic Multiple Sclerosis: The Questions You Have, The Answers You Need continues to be the definitive guide for everyone concerned with this disease—those who have MS, those who share their lives with someone who has it, and all healthcare professionals involved with its management. It covers a wide range of topics in an accessible question and answer format that allows people to easily find the information they need. Within each section, MS experts including neurologists, nurses, rehabilitation and mental health professionals, lawyers, and insurance and employment experts, answer the questions they have been asked most frequently over the course of their careers. 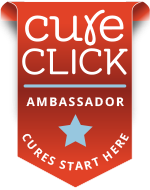 Each chapter is designed to cover the full spectrum of the disease—from the time of diagnosis through the complex challenges that can arise if the disease progresses." Again, good analysis, Lisa. Dr. Kalb is also the co-author of MS for Dummies, which is an excellent resource as well. Just a quick visit...I just can't take in all the info on this fabulous and, no doubt, well-written feature, Lisa. Thanks for your good wishes. I always think: when I thought I might have MS I couldn't FIND any books about it. (Even at my local library!) Now, the newly diagnosed have SO MANY to read, each with a bit different spin. Must be so hard now...to decide what to try or believe. Even the Drs. now will each say something a tad unique. When it comes to the end of the day, very little is new about MS, plenty of new THEORIES, but most else just a rehash from 1990.